Please keep Virginia Frances in your thoughts and prayers as she continues to battle a number of health issues. We hope she will be back with us soon. This month we recorded 23 members and guests at our January meeting. The History Center recorded 36 visitors. The gift shop took in $48.95. Please welcome new members Bob Maffitt of Wilmington, and Michael McMahon of Cary. We also added Ned Barnes, Attorney of Carolina Beach to our list of business members. Thanks to our History Center Volunteers Darlene Bright and Juanita Winner for coming in on short notice so Rebecca could meet a writing deadline. Thanks to Cheri McNeill for her always thorough proofing of the newsletter and Lois Taylor for her help getting the Newsletter in the mail. Thanks to the crew who worked the sometimes frantic Fort Fisher Reenactment event; Darlene and Leslie Bright, Demetria and Phil Sapienza, Cheri McNeill, Paul Slebodnik, Barry Nelder, Byron Moore, and Jim Dugan. Thanks also to Cheri McNeill, Sylvia Snook, Demetria Sapienza, Rebecca Taylor, Jean Stewart and Jane Dugan our “bakers” who donated homemade cookies for the cause. Now available in the Gift Shop! Coming of the Civil War by Bland Simpson. University of NC Press, 2012. Back by popular demand, we have new Society t-shirts on order. They come in “heathered” denim blue and cardinal red and cost $14.00 each. We have all sizes between medium and XXL. Professor Philip Gerard, author and historian, will speak on “the best and the worst of the human spirit” as it relates to the Civil War. Professor Gerard is currently writing a column on the Civil War in OUR STATE magazine and will talk about his research methodology -. The meeting will be held at St. Andrew’s On-the-Sound (101Airlie Road). Social Hour begins at 7:00 p.m.
February 23 Cape Fear Museum of History and Science. For kids and grand kids! Conduct fun and creative building experiments to explore Lower Cape Fear architecture. What is a structural foundation and why is it so important? How are historic buildings preserved for future generations to enjoy? Create a marshmellow geodesic dome to test out shape strength and make your own newspaper tower. Parental participation is required. Free for members or with general admission. will celebrate the 148th anniversary of the battle with a bang. “One Continuous Fire of Destruction,” will be held March 16 & 17. The program will focus on artillery involvement during the fiery battle. Artillery and infantry demonstrations will occur throughout the day both Saturday and Sunday. A Union Monument will be dedicated Saturday, March 16. Civilian living history demonstrations will be set up near the Harper House. The Harper House, used as a Union Field Hospital, will be open for guided tours. All activities are free. 10:00am— 4:00pm. Earl could carry 3300 pounds of fish on his truck and go all the way into Wilmington to deliver to Lee’s Fish House. They’d say “Sorry Page, I can’t take no more.” Now what do you do with all the fish? The thing in their favor was cold weather in late December. Earl wasn’t worried about the fish. He came back to the pier which is closed as far as fishing, but they used the shed there. They had to corn them—salt them. 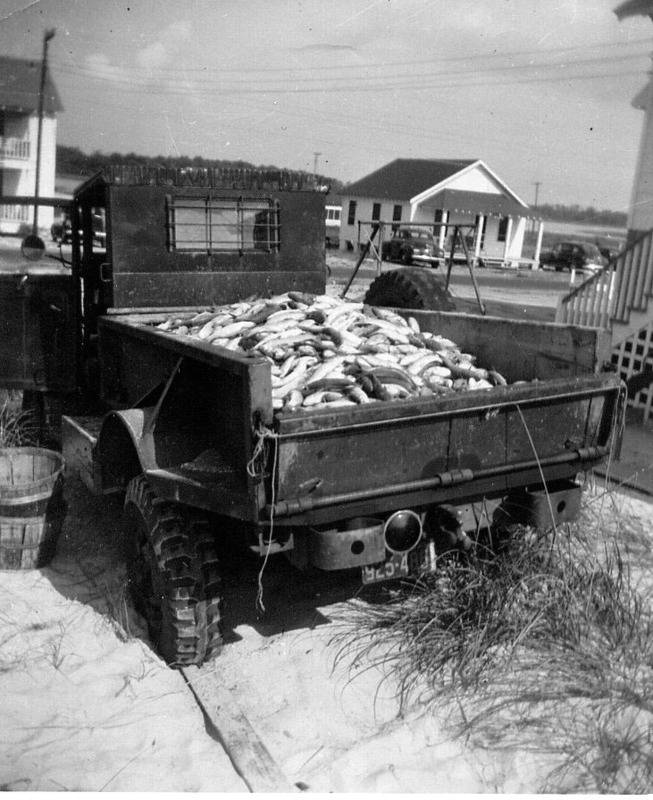 They unloaded the fish and drove back to Wilmington to get salt and 100-pound wooden barrels. They had to make 3 trips with Earl’s truck. You had an assembly line. You keep putting water and salt in it until you get one mullet that you filleted to float. If it doesn’t float, you haven’t got enough salt! We’re talking about a thousand or more pounds of salt. You don’t scale ‘em. All you do is cut their heads off, rake out the guts and dump the heads and guts off the pier to feed the marine life. The crabs, snails and sea life have a ball. The last man takes that real sharp knife and just gives a split—but leaves the tail intact so it lays open. 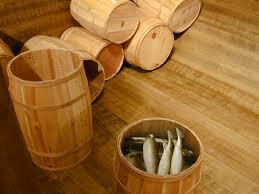 Put them in hundred pound barrels and put the lid on so the fish don’t get contaminated or spoiled. When the salted fish go out into the country stores, the owner will take a hammer and bust that top. And the people come in and buy it. When you get ready to cook it, you’ve got to par boil it. Soak it overnight in fresh water to get the salt off. The next morning, it’s delicious. It took about 3 months to sell these fish. But they made $25 a keg, when before, they couldn’t get 2 cents a pound. Our speaker this month was Robert “Bob” Maffitt, great grandson of Captain John Newland Maffitt. He will talk about Maffitt’s career as a Confederate Naval officer, blockade runner, and privateer. Born in New York of Irish parents Maffit was raised by his Uncle, Dr. William Maffit in Fayetteville, North Carolina. In 1832, at the age 13, he entered the United States Navy as a midshipman. By 1843 he was a Lieutenant assigned to the hydrographic survey. Among his assignments was the survey of the waters around Wilmington, NC. In 1857, Maffitt was placed in command of the brig USS Dolphin and ordered to capture pirates and slavers in the West Indies. On August 21, 1858, Dolphin captured the slaver Echo with 318 Africans on board and sent her into Charleston; the liberated slaves were later sent back to Africa. With the coming of the Civil War he resigned his position in the United States Navy to become General Robert E. Lee’s naval aide. By August 1862 he was in command of the CSS Florida. After a career that involved blockade running into and out of heavily guarded Mobile Bay. In 1864 he was given command of the CSS Albemarle in defense of the Roanoke River and town of Plymouth, NC. By the fall of 1864 he was back in Wilmington, commanding the CSS Owl and running the blockade. 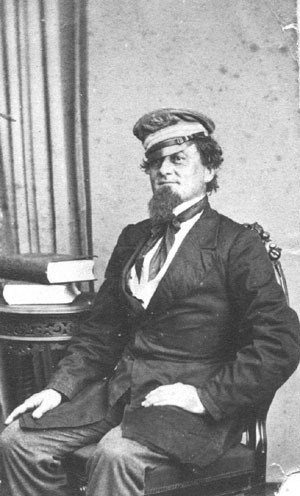 During his service to the Confederacy, Maffitt repeatedly ran the blockade to carry needed supplies and captured and destroyed more than seventy prizes worth $10 to $15 million. After the war, Captain John Newland Maffitt, with his wife and children, retired to Wilmington where he became a noted member of the local community. Today, grandson Robert “Bob” Maffitt lives in Wilmington, N.C. where he is known as “The Ambassador” because of his work in greeting tourist and welcoming them to Wilmington, N.C. as well as relating its colorful history. His education was in mechanical engineering and Mechanical Design, Electro-Mechanical Drafting and Architectural-Structural Drafting.